Our temporary fence gates can also function as a narrower temp fencing panel when there is insufficient space for a full-sized one. 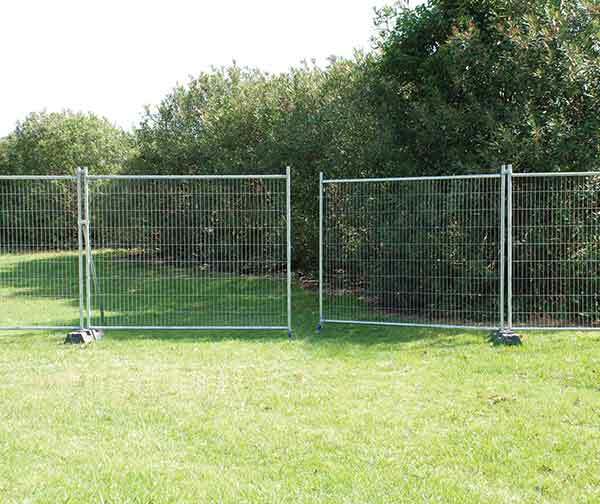 Each gate can be installed at any point in a series of connected fencing panels. If you require an opening large enough for vehicles to pass through, we also offer vehicle gates, which are the size of two standard fence panels and adapted to open inwards or outwards with the help of hinges and wheels. 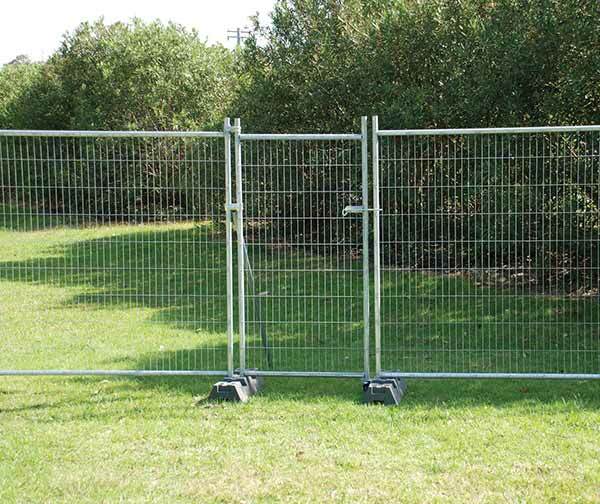 Our temporary fence gates can be seamlessly integrated into our popular temporary fencing systems, producing an opening in an unbroken string of temp fences that can be securely locked. Our gates are designed to open and close as smoothly and safely as possible, and offer all the benefits of stability and durability enjoyed by our other temporary fencing panels. They are equipped with high quality mesh and are sturdy enough to withstand harsh environments and inclement weather conditions. In addition, they are lightweight and can be easily installed, stored and transported. All our gates can be securely fastened with a chain and padlock for maximum security.